The Executive Board is the governing body of the Union, and is comprised of democratically elected ESC Local 20 members. The Executive Board is responsible for upholding the objectives and policies of the Union, as outlined in our Constitution, and carries out any charter provisions of our parent union, the International Federation of Professional and Technical Engineers. Additionally, the Executive Board maintains the ethical and proper use of the the Union’s treasury and other resources. Executive Board Officers are as follows: President, Secretary-Treasurer, and Vice Presidents from each of the bargaining units of ESC Local 20: PG&E, Medical Professionals Unit, Optometry Unit, and Government, Administrative, Technical Unit. Each Officer serves a two year term and Executive Board meetings are held monthly. 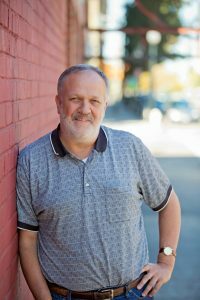 jmader@nullifpte20.org John Mader has more than 15 years of experience as an activist member of ESC Local 20. That experience started by participating in the drive to organize his classification into ESC Local 20 in 1999. Since then John has helped grow the Union through his participation in numerous organizing drives. John is an Electric Distribution Engineer and ESC Steward at the PG&E Sacramento Service Center. He holds an Electrical Engineering Degree from California State University Sacramento. 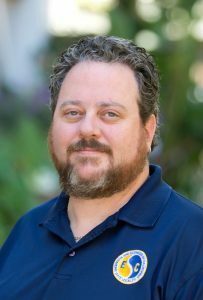 John has served the Union in a number of officer capacities, including: Treasurer of the ESC PG&E Unit, Secretary Treasurer of ESC Local 20, and also currently serves as President of the PG&E Unit of ESC Local 20 and as Western Area Vice President of IFPTE. 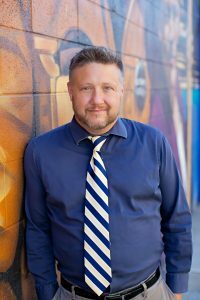 jfoster@nullifpte20.org In addition to his role as the Executive Board as Secretary/Treasurer, Joel Foster also serves on the PG&E Unit Board as the Vice President of Divisions representing those members at PG&E. Joel was hired at PG&E in 2001 and currently is an Electric Associate Distribution Engineer at the San Rafael Service Center. Joel serves on the PG&E Review Committee and is the Estimating Best Practices Committee co-chair. He has served on general negotiations bargaining committees and bargaining committees for SNBRs and IPEs, Project Managers, Project Analysts, and Environmental Service when these groups joined ESC Local 20.
kcleairmont@nullifpte20.org Kathy Cleairmont has been an active member of ESC for 12 years and represented PG&E to the Executive Board for 2 years as the PG&E Unit Vice President. She has cared for the health and integrity of members across all units. Kathy has worked at PG&E for thirteen years, twelve of which have been spent as an Electric Estimator, and is currently a Senior Electric Estimator in the Concord Service Center. Kathy lives in Benicia with her husband, Jon, and their two dogs. She is a proud mother of three and grandmother of two. csavoy@nullifpte20.org Connie Savoy serves as both the Vice President of the Medical Professionals Unit on the Executive Board and the President of the Medical Professionals Unit. Working for Kaiser since 1988, Connie has an in-depth understanding of work performed by professionals in the Clinical Lab field, holds a Specialist in Immunology Certification from ASCP, and has taught a review class in Serology/Immunology for the CLS board exam. 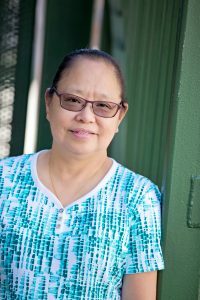 Connie has also represented ESC Local 20 in many local and national capacities of the Labor Management Partnership and Coalition of Kaiser Permanente Unions. Her work on local and national contract negotiations resulted in numerous CLS equity adjustments that brought the CLS salary to market rate. Through the Regional Lab Workforce Planning and Development committee, she helped create an accredited histology training to expand career opportunities at Kaiser. In her spare time, Connie likes to read mysteries and enjoys time with her husband. jmah@nullifpte20.org Dr. Joan Mah serves the ESC Local 20 members as both the Optometry Unit Vice President on the Executive Board and the President of the Optometry Unit Board. She started her career at Kaiser at the age of 16 in the Summer Youth Program and currently is an Optometrist at the Kaiser San Rafael Medical Center. 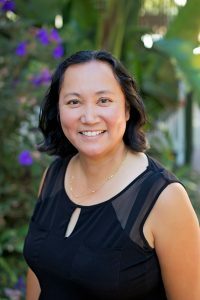 As a Unit Based Team Consultant at Kaiser, she works with many departments in Kaiser San Rafael to help support the Labor Management Partnership. Joan was part of the ESC Local 20 delegation in National bargaining in 2012 and 2015. 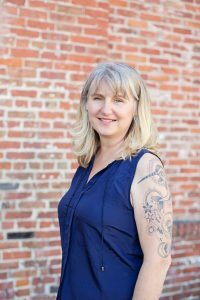 She has also served on several Regional committees representing ESC Local 20 and works closely with the Coalition of Kaiser Permanente Unions. Joan earned her Bachelor’s degree in Microbiology and Immunology and also her Doctorate of Optometry at the University of California, Berkeley. Joan lives in Marin County with her husband and three sons.